Whatever heart you may draw from reading this message, do not go overboard. Ask yourselves whether the Cowdrey Lecture ever entered the abodes housing the numerous Sinhala, Tamil and Wahabi Muslim extremists in Sri Lanka. Sangakkara’s type of message stirs the converted. But how does one reach into the hearts of those entrenched in other ideological domains? With this note of caution, my task here is (a) to record some of the other ventures directed towards bringing Tamils and Sinhalese together that Kumar has participated in during the recent past; (b) to indicate that several of these measures were as an associate in meaningful bridge-building activities undertaken by Kushil Gunasekera’s Foundation of Goodness and/or the Laureus Sport for Good Foundation. These steps came to my attention in 2011 when I was in Sri Lanka for a spell watching the World Cup in cricket. I attended a joint function at the Taj Samudra organised by FOG and Laureus to advertise a project envisaging the building of a cricket facility in the heart of Mullaitivu/Kilinochchi Districts. Kushil Gunasekera, Ian Botham, Michael Vaughan, Christopher Martin-Jenkins and Kumar Sangakkara were on the podium on the occasion. The day after this public launch Botham, Vaughan and Martin-Jenkins (“CMJ” to his friends) were taken by SLAF helicopter to Mankulam with some FOG personnel as the first step in their combined project to build a cricket centre that would replicate that existing in Seenigama (Kushil’s home village) on the south. This initiative towards reconciliatory cricketing amity eventually spawned the construction of a cricket ground and pavilion at Oddusuddan with the help of the Sri Lankan Army. However, the promise made by the government of that day and those that followed to donate land for a cricket centre has not been forthcoming. However, the Foundation of Goodness launched a project in 2012 that brought school teams from across the breadth of the island into competition with each other at playing fields in the north vying for the Murali Harmony Cup. This competition ran alongside a competition between women’s teams. This was not a one-off enterprise. The Unity concept of cricketing amity has been consolidated with annual fixtures as well as special tours to Singapore and UK – the latter with the support of Ian and Sarah Botham and the MCC (see bibliography). The FOG ventures in what can be described as “cricketing amity” have been so many and so varied that a separate essay will be devoted to the clarification of these lines of reconciliatory effort. Taking up a challenging question from the floor (see fn. 2) at the public launch in 2011 of the Laureus-FOG project in the north, Ian Botham opted to replicate his punishing charity walks in Britain and Europe by performing the same feat in the more humid, and thus more exacting, climatological conditions of Sri Lanka. This charity walk in early November 2013 drew participatory support from several international cricketers as well as Mahela Jayawardena and others from the Sri Lankan squad. Quite independently, Sarinda Unamboowe and Nathan Sivagananathan took up an idea developed in the course of a drunken reverie in December 2011 and launched the TRAILS project of a charity walk from Dondra head in the south to Point Pedro in the north intended to collect monies for a paediatric cancer ward at the Jaffna General Hospital in the Northern Province of Sri Lanka. This was signalled then by Rajah Kuruppu in the Daily News and by Thuppahi. Once the project got moving (literally) it involved 82,812 walkers of all ethnic identities and raised enough funds to expand its goal. A Trails Cancer Hospital was opened at Tellippallai further north on 14th January 2014 and its latest web-version records that the organisers have received 78.71% of their monetary target of 5 million US dollars from donors numbering 511.647. This great result is truly a case of feet and hands small generating far-reaching results. The walk began in October 2016 and took 28 days. It was much “tougher’ than either of them anticipated: “every day was a grind. There were pain barriers … Some [participants] did get injured and could not complete the walk]. There were blisters, sore legs and swollen ankles. Mentally you get fatigued to go through the same routine everyday but it was a great experience and I would not exchange anything else in the world” – a summing up from Mahela that cannot, I think, wholly convey the difficulties encountered. “Hard yakka” all the way as one would say in Aussie slang. It would be a mistake, however, to conclude that the hands across the ethnic divide in the realm of cricket have been recent initiatives. The Sri Lankan cricketing establishment has always sustained its links with the north. The first of these ventures in cricketing diplomacy was a match in Jaffna on the 1st September 2002 between a team from Janashakthi Insurance that included three SL cricketers and a Jaffna ‘çollective’. The man behind this initiative was the head of Janashakthi, Chandra Schaffter, a Thomian of Indian Tamil background who had represented Ceylon in both hockey and cricket. The ceasefire had enabled Janashakthi to open a branch in Jaffna town so people may conceivably interpret this cricketing venture as one directed by commercial advantage. Not so. That was a secondary dimension of this venture. Schaffter had in fact approached the BCCSL and wished the Sri Lankan Team to play an exhibition match. His chief objective was the deployment of cricket to resuscitate amity. Receiving no support from Hemaka Amarasuriya and the Board, he used the Janashakthi cricketers augmented by Muralitharan and two other players with SL colours, namely, Ruchira Perera and Romesh Kaluwitharana. Murali was the key symbol here – a drawcard that could promote ethnic reconciliation in some measure. This event is of sufficient importance to warrant a separate article with greater detail. These efforts were renewed immediately after Eelam War IV ended with the defeat of the LTTE. Sri Lanka Cricket seem to have launched a vigorous programme that distributed cricketing gear to schools and other organisations in the north and east In mid-2010 I accidentally stumbled on some facets of cricketing outreach while I was in the Jaffna Peninsula engaged in my political researches. Visiting St. John’s College with the intention of meeting its principal, I stumbled on a schoolboy cricket match in progress. Lo and behold: a surprise! I was hailed by Malcolm Perera (a cricketer from Kandy in my playing time in the 1960s) who was an SLC coach overseeing an Under 19 cricket-match directed towards locating promising Jaffna cricketers with the aid of Ravindra Pushpakumara (SLC Coach for the Northern Province). In short, one had institutionalised outreach from the centre in place in the north. Again, when I was in Sri Lanka in 2010 and 2011 on research work, I became aware of the many steps taken by the SLC administration under DS de Silva to foster cricket in the north and east – with considerable support from the Rajapaksa administration and Namal Rajapaksa in particular, Anura Ratnayake at SLC provided me with a cluster of images displaying tamashas at Habarana and Trincomalee where de Silva and board officials were involved in the distribution of cricket material (with some fanfare). To What End? With What Success? While many will applaud these reconciliatory ventures, we must not let our own sentiments promote a rose-tinted appraisal of their impact. Many Sri Lankan Tamils, both those residing in the island now and those who have moved to other lands, had to endure difficult circumstances over the last 40-odd years. It seems reasonable to conjecture that substantial segments of the Sri Lankan Tamil population remain deeply embittered because of their experiences during the years of war. The developments in the Sri Lankan political order since 2009, the character of the political system in the island in the circumstances provided by its demographic configuration in space and the appearance of such forces as the Bodu Bala Sena are likely to have deepened the reservations among the Tamil peoples. In brief, the threads of political extremism that have been embedded in SL Tami society will continue feed off the extremisms among the Sinhalese and Muslims in ways that nullify the intent of the well-meaning efforts of the organisations and personnel delineated in this essay. Michael Roberts: 2014 “Encompassing Empowerment in Ritual, War & Assassination: Tantric Principles in Tamil Tiger Instrumentalities,” in Social Analysis, sp. issue on “War Magic and Warrior Religion,” ed. by D. S. Farrer, pp. 88-106. Asian Tribune: “Canada remembers slain Jaffna St. John’s principal, Anandarajah, after a lapse of 20 years,” June 2005. A bloke named Roberts shocked Botham by asking him if he would replicate his charity walk from northern end to southern end of Britain by walking from one end of the island to the other. Botham being Botham eventually took up this challenge. Botham’s reading of the landscape that he flew over in the Vanni as a scene of devastation was immediately highlighted by British newspapers [in line with the exaggerations swallowed by so many Westerners in the year 2009 and in step with Ban ki-Moon’s impressions in May 2-009 (also from a helicopter). Fortunately, CMJ was on the same flight and presented a reasoned oversight strengthened also by conversations with SL Army officers on the ground who related their work of bulldozing to create a play area for the FOG venture (see Roberts, 2011, ”Reading devastation…………,” at https://thuppahi.wordpress.com/2011/06/10/reading-%e2%80%9cdevastation%e2%80%9d-botham-cmj-ban-ki-moon/ and the pictures of the three Englishmen at the space in Mankulam cleared by the SL Army for the projected venture [eventually shifted to Oddusuddan] in Roberts, Tamil Person and State. Essays, 2014, fac. Page 260). Email note from Kushil Gunasekera to author, September 2013.
http://www.dailymail.co.uk/sport/cricket/article-2487770/Sir-Ian-Botham-charity-walk-How-cricketer-raises-money-Sri-Lanka.html … And other items in the Bibliography. See Nathan Sivagananathan, 2014 and https://trailsl.com/tellippalai-trail-hospital/. See Champika Fernando in Q and A with Mahela Daily Mirror, 13 December 2016. Pushpakumara is from the Kalutara area and one of his parents is from Plantation Tamil, that is, Indian Tamil, background. He is a pace bowler who represented Sri Lanka in the 1990s. In mid-2010 I focused on the IDP camp relief efforts and the work or organisations providing artificial limbs. I visited both Vavuniya and the Jaffna for this purpose. In 2011 my main interest was in the World Cup cricket matches in the island in 2011, but I dabbed in research as well. For elaboration, see Vivek 2010 and Roberts 2010. Long long long before SL (known as Ceylon) was awarded Test status, cricket was the craze in schools. One of the Ceylonese cricket talent in the 1940s was Mahadevan Sathasivam whom Garry Sobers called “the greatest batsman ever on earth,” and Frank Worrell called him “the best batsman he had ever seen”. Satha was probably the only man ever to captain three national teams. He was captain of the Ceylon team in 1948, and then captain of the Singapore team, and finally captain of the Malaysian team. Satha evidently loved a swig or two (probably more) and folklore has it that he saw three balls, “always hit the middle one with the extreme bat”. In 1951 Satha was accused of murdering his wife. Colvin R de Silva defended him and won acquittal. Colin lost the next election and this was attributed to the sophistication of the voters. Alas, we have lost two aspects of life in the forties/fifties. Satha was chosen captain on merit. Today’s voters are easily misled by alt-news. About Michael Roberts’ article ~”Cricket & Reconciliation In Sri Lanka”. 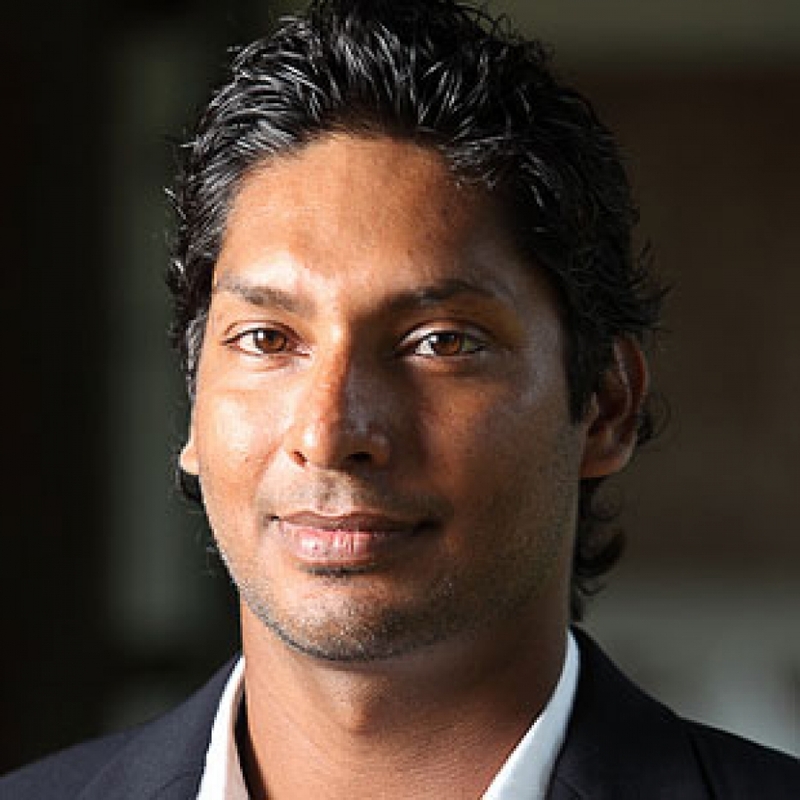 Kumar Sangakkara is a phenomenon in world cricket. He held very high moral standards – very rare commodity in SL right now. The artificially created Lankan language/religion divide is very strong. Sanga’s effort to break this barrier through cricket is laudable. To measure his success, one may try to find out how many national level cricketers think like Sanga. Act like Sanga? Dear Michael Roberts, if you think cricket can bring about reconciliation, then you are sadly mistaken. There are several well meaning people who wish that this will happen and are striving to achieve it, but ground realities are not so. We are having problem in the UK, in an organisation called festival of cricket (FOC) where there is severe opposition from Sinhala racists for the admission of Jaffna school OBAs to become members of the association and to take part in the tournament. An attempt by fair minded OBAs mainly multi-ethnic ones spearheaded by Wesley OBA was thwarted by these racists. In the process they have brazenly violated provisions in Equality Act 2010 of UK by practicing racial discrimination. I have reported FOC to Equality and Human Rights Commission of UK (EHRC). for admitting St. Thomas’ Matale with faulty application bending the rules and rejecting application of five prominent Jaffna School OBAs citing a single flaw. EHRC has accepted that racial discrimination has occurred and is contemplating taking legal action against FOC as a strategic case of discrimination in associations and clubs. Because there is an independent body in UK, I was able to do it, but in Srilanka Tamils have no one to complain to as the government is the perpetrator of discrimination. Garry Sobers never watched or saw Sathasivam play. So if he ever said he was the “greatest batsman ever on earth” then he would have done so based on here say. He might of course have been drunk. What Worrell said is true. An early step towards reconciliation would have been achieved had Muralitharan been appointed captain of the Sri lankan test team (s). Although many, including probably Micael Roberts, felt that this failure was not due to racial discrimination, the writer strongly disagrees. Though apologists may say that denial of captaincy to Muralidharan has no racial basis, it is definitely so. In 1992, despite Muralidharan having had success in school and club level he was not drafted into Srilanka side. The reason given was that they do not want to expose him to test level straight from school. But Jurangpathy, Gunaratne and Weerasinghe were given chances at test level straight from school and they managed to play one or two tests before being discarded. 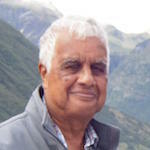 Also Ranatunga satrted his test career straight from school and there was no such things mentioned in his case.Though Jayasuriya started playing test cricket before Muralidharan, Muralidharan secured a permanent place in the test side before Jayasuriya, and therefore Muralidharan should have been appointed captain before Jayasuriya. I am told one reason that Muralidharan was not given captaincy as he does not have leadership qualities. It should be pointed out Muralidharan led Tamil Union very successfully with astuteness to many victories. So please accept that racism played a major part in denying Muralidharan this honour despite being the only player in Srilanka to hold any test record in cricket at any time. How naive, superficial and illusory! Those who are serious about reconciliation should address fundamentals: past and present; political, economic and social. A good start would be to address the presence (numbers) and role of the armed forces in the North and East; deal with human-rights violations.